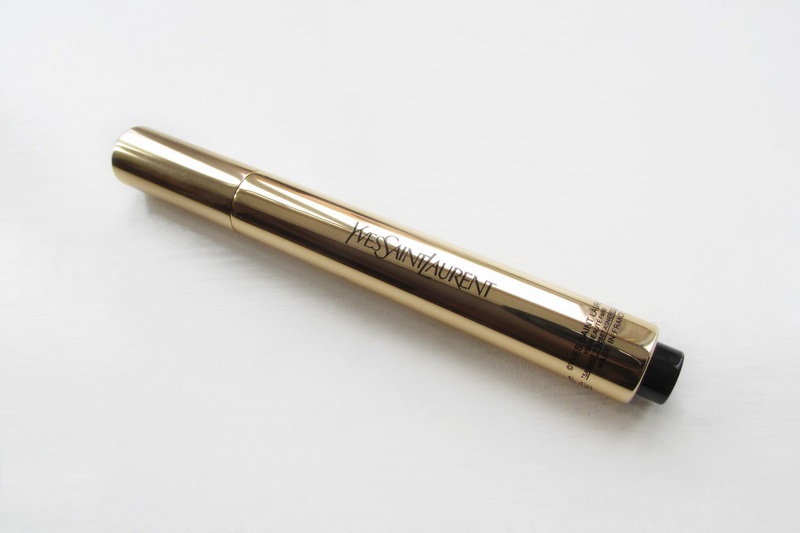 Over the years the YSL Touche Éclat has earned cult beauty status, namely for it's ability to add a natural brightness to even seriously tired eyes. It's one of those products that everyone either owns, has owned or wants to own, and used to be one of my favourite go-to beauty products. However, sometime in the last year or so the infamous highlighting wand seems to have fallen under my beauty radar. So after recently seeing it crop up in Hannah Maggs' recent vlog I decided a re-purchase was definitely overdue. True to form, with just one click I instantly fell back in love with it. It's a saviour when it comes to covering dark circles and more recently I've been using it as a highlighter to contour and illuminate my face. The best thing about this product is it's staying power; most illuminating concealers seem to slide off or dry out throughout the day but the Touche Éclat lasts all day without needing to re-apply. I can see myself using this a lot over the Autumn/Winter months to ease those dark, dull mornings. The verdict? I certainly won't be ditching this one again anytime soon. It may even be time to branch out and try it's latest counterpart the YSL Touche Éclat foundation. Nothing compares to this, such a classic.